A rude awakening by geese screaming at my door was not the way I envisioned starting my day. With temperatures near freezing, the 6.00 AM milking session seemed a daunting first task in my 12-hour internship as a family farmer in Santa Catarina, Brazil. « Ne perdez pas votre temps avec des programmes locaux d’amélioration génétique si quelqu’un peut améliorer les semences pour vous. Nous sommes un petit pays, et n’avons pas les moyens de réinventer la roue ». C’était un conseil pragmatique d’un agronome bhoutanais en visite en Bolivie il y a quelques années. Sa déclaration pourrait s’avérer véridique principalement dans les pays aux réserves financières limitées. Cependant, je crois fermement que la mise en œuvre d’innovations agricoles exigent un rapprochement du global au local dans le cadre d’un partenariat mutuel, avec de fortes capacités mises en place sur le terrain. En voici un exemple. “Don’t waste your time in local breeding programs if someone else can improve the seed for you. We are a small country and cannot afford to reinvent the wheel”. This was the pragmatic advice of a Bhutanese agro-scientist visiting Bolivia a few years ago. His statement might be true, especially in resource-limited countries. However, I strongly believe that implementing agricultural innovations requires bridging the global with the local in a two-way partnership, with strong capabilities in the field. Here's a good example. ‘Oh you’re going to Lima? I’ve heard the food is supposed to be amazing’. So goes the typical comment I get from friends and family when I would mention my work related travel plans. And in this sense the city does indeed live up to what is now internationally recognized. In my short amount of time in Lima I discovered it has a gorgeous historic downtown area, a stunning coastline peppered with manicured parks in the upscale parts of town, and a largely flat topography coupled with a near complete lack of rain. Although 9000 miles apart, the states of Himachal Pradesh (India) and Quintana Roo (Mexico) have one thing in common: a vision and mission of promoting an economic growth that reaches as many people as possible while respecting the environment and the natural resources. This is what we call inclusive green growth. Both the states are endowed with nature’s bounty and its curse: rich in biodiversity and the ecosystem services that it provides but highly vulnerable to the climate change and natural disasters and environmental degradation that development impacts bring. Environmental sustainability and climate change resilience are thus a top priority, and it is no surprise that both the states are leaders and frontrunners in formulating green growth and development strategies in their respective countries. It was therefore very apt for a delegation of senior officials from the Indian state of Himachal Pradesh to visit Quintana Roo to exchange ideas, share knowledge and best practices with their counterparts. 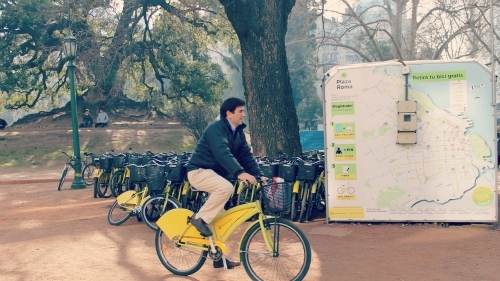 As porteñas as tango, yellow bicycles from the Buenos Aires’ bike-sharing system have undoubtedly become a part of the urban landmark. In a city dominated by buses and taxis, bicycles have recently made a comeback and are slowly reclaiming the road through the bike sharing system –or bicing as we all call it. Known as Ecobici, this system has celebrated the millionth trip last December and is here to stay. What makes Ecobici different from other bike sharing systems around the world? We think it’s about two simple answers: it is operated manually and doesn’t cost an Argentinian peso. 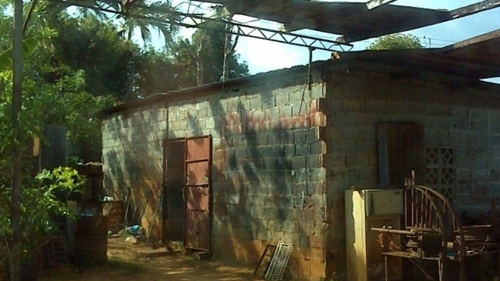 Tiny homes made of non-reinforced concrete blocks, without columns in the corners or ties where the walls and roof and the walls and foundation meet. These are dwellings that can collapse like a deck of cards in the event of an earthquake. Photo: World Bank. I have lived in Panama City for nearly two years and there are two things that still capture my attention: the traffic that gets worse by the day due to the more than 36,000 new vehicles on the road every year and the pace of construction. The number of new buildings popping up in the city daily is amazing. Huge, luxurious, expensive buildings in fashionable areas, but also housing projects promoted by the national government and a large supply of houses for the Panamanian middle class responsible for the private sector.